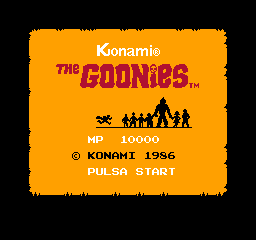 The Goonies is an action platformer game for the Nintendo Entertainment System. Based on the movie with the same title. Help Mikey save his friends and dodge the Fratelli brothers. 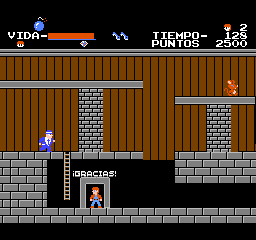 This is a Spanish translation of The Goonies for the NES.